￼For any disease, discerning between causes and symptoms is vital, especially for those illnesses that aren’t fully understood. One of the best examples of this is depression, which has intrigued experts for many years. When discussing the causes of this debilitating condition, most doctors point to causes like genetics, traumatic experiences, medications and financial woes—and all these are important components. Still, there is one symptom of depression that may contribute to the condition as much as these other triggers. That symptom is insomnia. Ever since electricity flipped the switch and transformed night into a blaze of colorful lights and excitement, people have assumed that the need to live in the light of day is history. As the industrialization of society has taken over, it’s now easy to pick your hours. “Night owls” assume they can breeze through life at any and all hours, sleeping in when they choose with no consequences. Many of us still possess a rebellious “don’t tell me when to go to bed” streak, and although we think it really doesn’t matter, science is slowly awakening us to the fact that it does. Desperately. For many who suffer from depression, the “symptom” of insomnia appears to be just another of their many woes. Since they may not be excessively sleepy during the day, the problem of sleeplessness can take a backseat to the more noticeable effects like fear, pain and hopelessness that occur during waking hours. New research has shown that disrupted circadian rhythms may be more of a trigger to depression than experts previously imagined. By skipping much-needed sleep cycles, the body is forced to play catch up during the daytime, reducing the focus and resulting in a feeling of foggy fatigue. For those who have full-blown depression, the idea of getting on strong medication is often a scary yet tempting thought. Circadian rhythms, the natural rhythm that governs sleep-wake cycles, play a huge role in the depression process. Postmortem studies have shown that those struggling with depression have jumbled circadian rhythms, a telling fact which illustrates the power of our internal clock on the psyche. 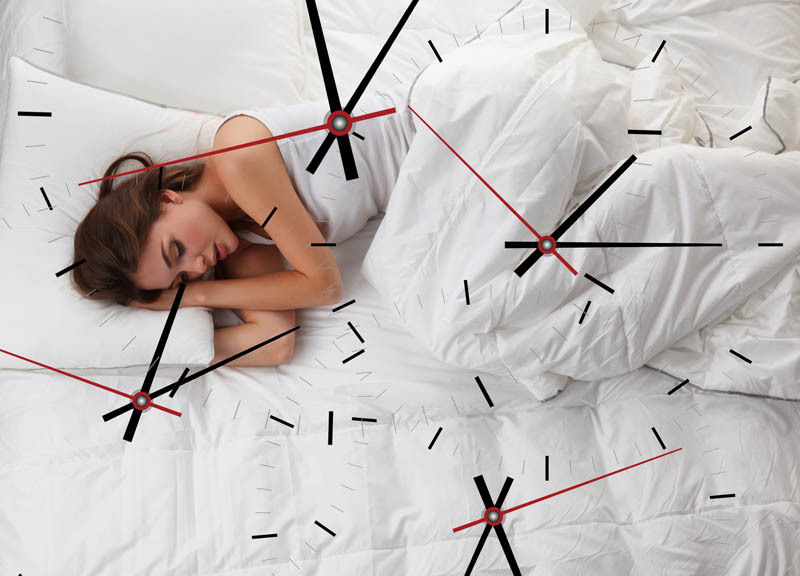 According to University of Michigan’s human genetics professor Jun Li, these studies have shown compelling evidence that disrupted circadian rhythms are a commonality among depressed individuals. “They seem to be sleeping at the wrong time of the day, and the quality of their sleep is also different from healthy sleep… This reinforces the old idea that trying to address sleep cycle is a good practice in diagnosis and in treatment,” he said. Chronobiology, the study of how various rhythms affect the human body, is a new field that’s foreign to many doctors, yet it’s proving to be an integral component of many of the most heretofore baffling diseases including breast cancer, memory loss, inflammatory diseases and diabetes. Depression treated pharmaceutically can be an expensive disease, especially when medications end up doing more harm than good. For those preferring a more natural approach, it makes perfect sense to first work at reestablishing the natural sleep cycles that the body was made to enjoy. As individuals suffering from depression are made aware of the power of a good night’s sleep, they can purposefully embrace sunlight during the day and they can learn to stop avoiding the darkness at night. When circadian rhythms are balanced, natural light triggers the release of serotonin, the “everything is awesome” chemical, while darkness releases melatonin, which helps regulate internal functions and even fights malignancies. Both of these are naturally produced body chemicals that can be powerful in treating depression. Although it’s never easy to beat insomnia, it’s important to do everything possible to naturally jump start your circadian rhythm back on track. By establishing a regimented schedule that welcomes sunlight and makes darkness the cue for bedtime, it increases the odds that light will soon appear at the end of the tunnel. For those suffering from depression, the most effortless way to achieve the regular sleep cycles that can help alleviate the pain of the blues is to cooperate with your internal clock that governs them. Humans are designed to need both early morning sunlight and softly diminishing sunset light to prepare their bodies for both wakefulness and sleepiness. Bright sunlight in the day combined with rest at night—with no light after the sun goes down—can go a long way in reestablishing healthy circadian rhythms.